I love when Jesse gets excited about something - especially when it's something we can do together. We discovered early on that we work brilliantly as a team - and we have so much fun whilst we work on a project - so we're always looking for new things to do together. 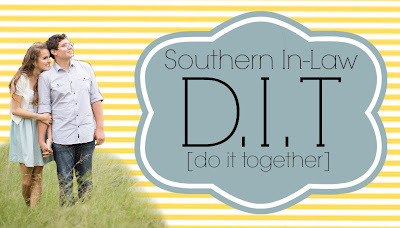 Thus, instead of D.I.Y - we've coined the term D.I.T Project - Do. It. Together. A while ago, I briefly mentioned to Jesse that I'd always wanted to re-do a piece of old furniture - but I just didn't know if I could do it. Jesse immediately piped up "Of course you can! We can do it together - it's not that hard! We'll google and youtube techniques and it can be our project". That night we hit up pinterest for a bit of inspiration, looking at different techniques and such - but that's as far as it got.... until yesterday. I randomly decided on Sunday morning that I wanted to go to the thrift store to see if I could find any treasures. I was expecting to come home with a tea cup or tea pot or maybe even a vase - little did I know we'd come home with a chair. 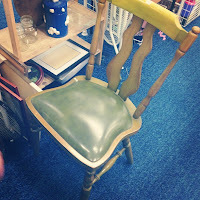 Whilst wandering through the store, we spotted a green chair... and it was very horrible green. Katrina so eloquently described it as "baby poo green". We stood by it, pondering whether or not to pick it up and make this our next project. At the price of just $6 - we decided this was quite a suitable first furniture restoration project - because it wasn't like we were throwing money down the drain. I made Jesse sit on it in the store to make sure we didn't carefully re-do it only to have someone sit on it and fall through the bottom or have a leg fall off. We turned it over, checking we could take the seat off to re-upholster it and we decided we could easily fix the little bit of wobble it had. We continued looking through the story, picking up the chair when we were done to pay for it. "You really want that chair?" the lady at the counter said "yes, thankyou" - she looked at us like we were crazy - and so did everyone else in the store. They were probably imagining these too young people decorating their house with hideously ugly furniture - but we had a plan in our heads. We got home and ate some lunch and then grabbed a drop sheet from the work van, a couple of screw drivers and some sandpaper. 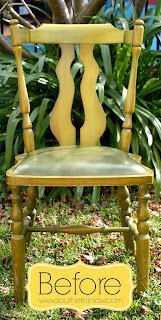 The pictures above show you the true yucky green colour that the chair was. We sanded and sanded and sanded and sanded - and it took as about 2-3 hours to get all of the green off. 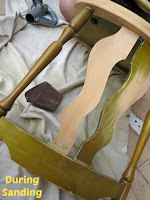 After almost three hours of sanding and vacuuming, we had a fully sanded chair - and the wood underneath surprised us. It was gorgeous - and we couldn't believe that someone would want to stain it green - our only guess was that it must've been stained a different colour and it had changed colour over the years. Now we've got to wait until the weekend to work on it some more. 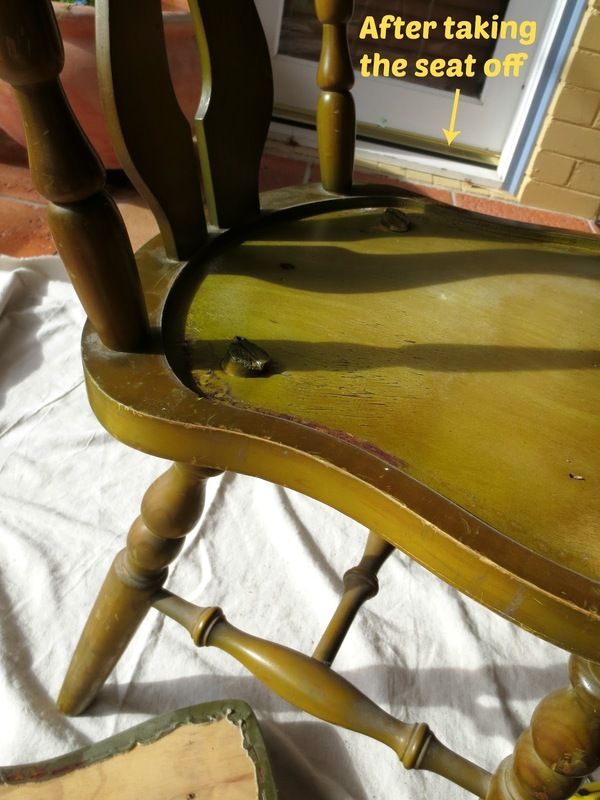 On Saturday morning, we're planning on heading to Bunnings Warehouse to buy some soft sandpaper, paint and other bits and pieces to continue turning this ugly chair into something gorgeous! At the moment, we're undecided on how we'll paint it. 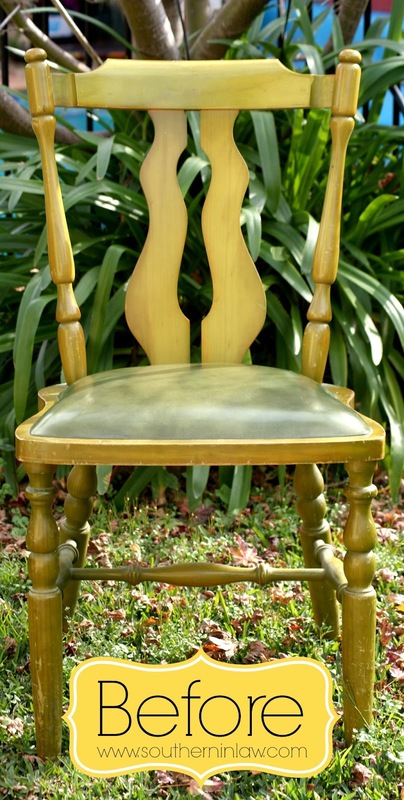 Jesse said it has to be a smooth painted finish - but I'm leaning towards a shabby chic look as I think it would look awesome in cream and a blue undercoat which we can sand back to reveal scratches of. We shall see! 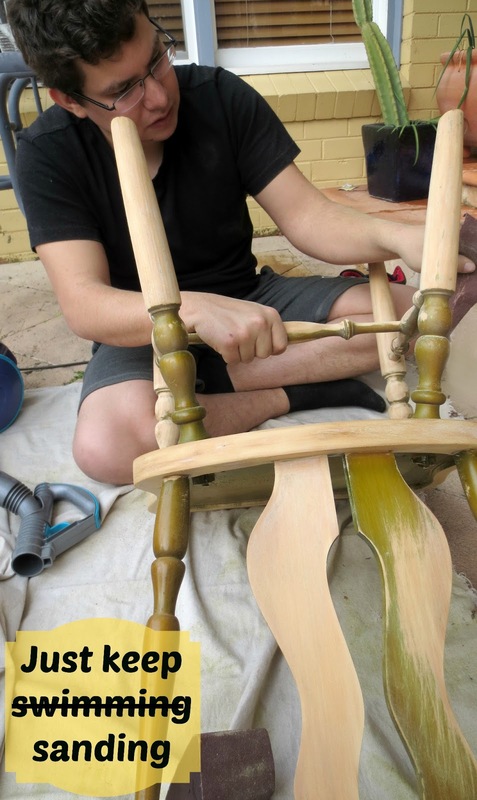 So tell me, do you and your partner work on any projects together - or perhaps you have a hobby that you both love? What do you love doing together?